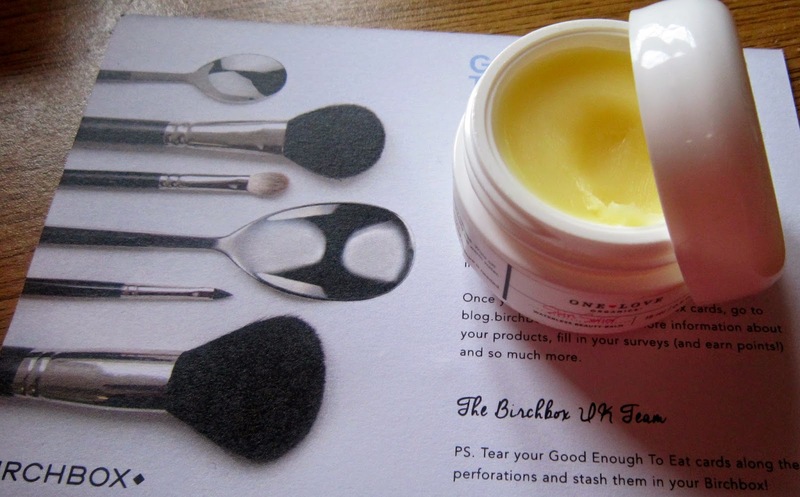 Today is going to just be a wee blog showing you everything I got in April's Birch Box. 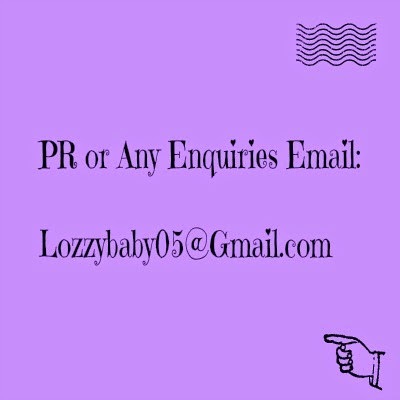 If you want any reviews on the products in more detail then let me know in the comments below. 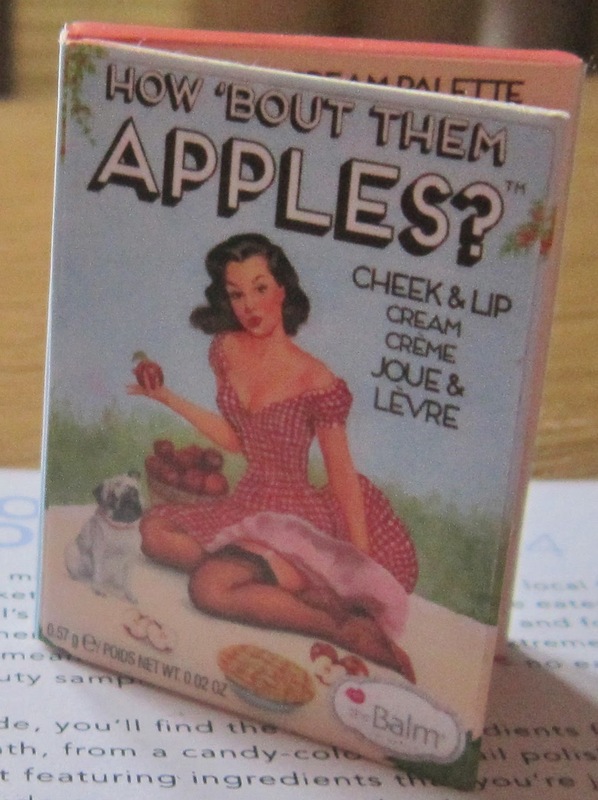 Firstly, how gosh darn cute is the packaging? 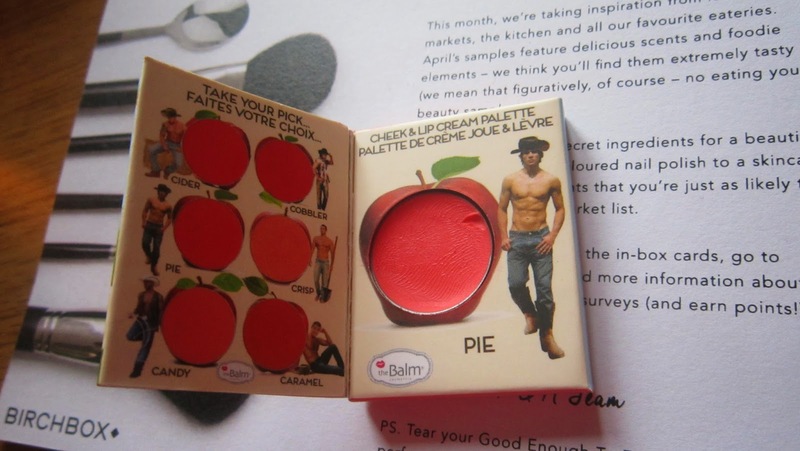 I think that's my favourite part of TheBalm, their packaging is always gorgeous and girlie. The product itself isn't usually something I go for, I've had benetint and an Asda dupe for lollitint (If you want a review let me know) and stuff like that but I never really reach for them, This, however is a lovely consistancy, creamy, not to greasy and easy to apply. Because of it's itst bitsy teeny weeny (yellow polkadot bikini- sorry tangent hence the brackets!) size it would be great for travelling. Usually when I fly back home (Leeds to belfast) I just bring hand luggage and of course there is the restriction in that wee plastic bag so something like this would be a great addition if I was struggling to fit things in. The colour is a lovely, natural, coraly-red colour. I'd never buy the palette at £26 but it's a nice thing to add to my collection. Again, would you look at the tiny wee thing! It's like a wee baby eyeliner! I've heard of Lord & Berry before, but not an awful lot so it was nice to get something to try from them. The liner itself has the instruction to 'soften the tip on the back of your hand and line eyes' I've never thought of doing that, has anyone else? The colour is a really good strong black, not this wishy washy greyish toned crap we are asked to put up with sometimes. It smudges really well, but I always worry about that because I don't want it smudging too well, off my eyes and someone capture me and take me back to the zoo! This was actually a full sized product. The scent is gorgeous, really sweet and fruity. Perfect for Summer. Now I am Fussy about my shampoo sometimes, I tend to stick to Tressemme but I will give this a go and worse case scenario- I can use it for my makeup brushes as it says it's gentle. This stuff kind of baffled me. The description says 'A do it all balm to remove makeup, cleanse and moisturise skin- it even tames flyaways'. Yes the remove makeup and cleanse bit I totally get and this excites me but the moisturise and tame flyaways bit- not so convinced. The texture is a akin to the Burt's Bees Lemon cuticle butter, its sort of gritty, balmy and goes oily and smooth when it heats up. This, to me is perfect for breaking down oil-based/heavy makeup but to put it on and leave it there quite frankly scares the bejeezus out of my oily t-zone. The scent is gorgeous, there is a citrusy-orangy scent but it really reminds me of cola-cubes the sweets (or the shots if you are my friend lol) which is lovely. We got an email towards the end of march with a colour choice on these. There was a nudeish one, a blue, a gold and this and I chose this as it was something I didn't have in my vast(ish) nail polish collection. I believe the colour is 'Breakfast at...' So trying to encapture the colour of the very famous tiffany box. It's a pearlescent shade, which isn't my favourite but it's actually really pretty on. The formula is also really good, with one coat, I had the coverage, evenness and opacity I wanted and the colour was very true to what was in the bottle. This was a decent little snack sized bag of this popcorn. I've had it before and it's great if, like me, you are trying to lose weight but love a snack. Personal preference - I dislike salty popcorn and so does my fella but If you are wanting to try this popcorn, try the Sour Cream version- it's amazing. This month's box was actually really good, it has made me want to continue with Birchbox after being slightly less than enamored with the previous two boxes. There were a good mix of skincare, makeup etc and from brands I hadn't tried but had heared of so I'm pleased with that. It was worth my £12.99 this month.